Hookman’s Cemetery looks like your ordinary old cemetery. Mostly graves from the 1800-1900’s. However, this place has some serious camera ready ghosts… I have been here a few times, but it sits on a small road that can be heavy at times with traffic, so you can easily pick up a nice ticket for trespassing. Proceed with caution, but do take tons of pictures. You’ll be amazed at what you may see. The cemetery doesn’t have a real crazy history although rumors have been passed around. The rumor is that a man by the last name of was wrongly accused of a crime, years before this place was ever a cemetery. He was hung from a tree in this exact spot. Now, I have not seen any apparitions of this so called ghost, but you can certainly feel “watched” and get those lovely goose bumps at all times here. The tombstones are in fairly good shape and the area is quite open. On a cloud free night in fact, you actually can find this place is great to see the stars. 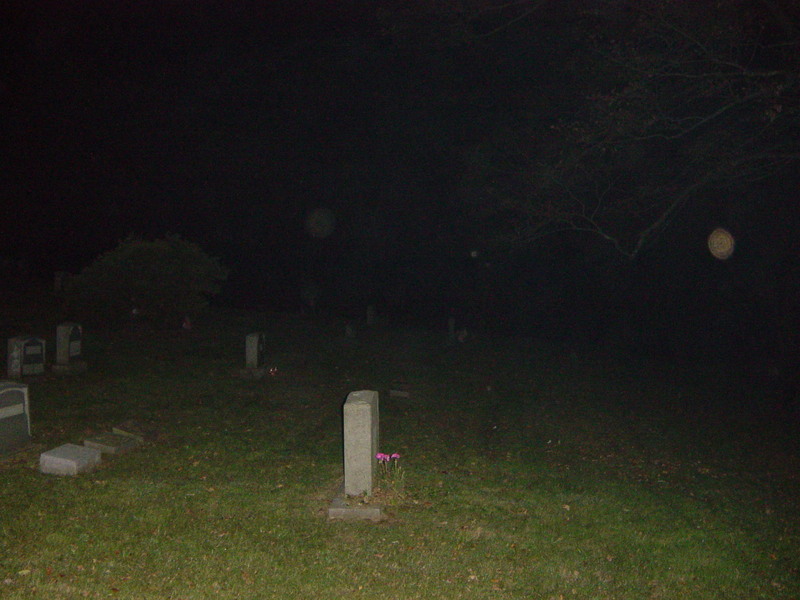 Proceed with caution as this photo to the left was taken as we were leaving… Sometimes they say spirits can come home with you, so I would stay clear of this place if you believe in such thing! You can see the photo on the right appears to have a smoke or mist to it. I myself am not a smoker, so when I took this photo, I found it a bit odd. The sky was clear and you could see for miles. Hookmans is an easy spot for a first timer to get out and explore if you feel ready for the challenge. Like I said, it is off the main road, so you can park and walk through it, bu I do not recommend staying long as police frequent by to see what is going on. If you do ever visit, the most haunted location seems to be along the rear outskirts of the place, which I believe is where the big tree is where the man was hung. 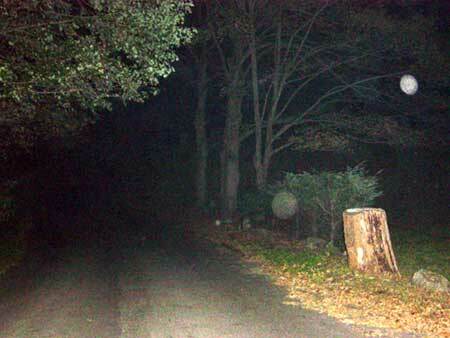 I have captured most of the great photos and video here, not actually near the tombstones. 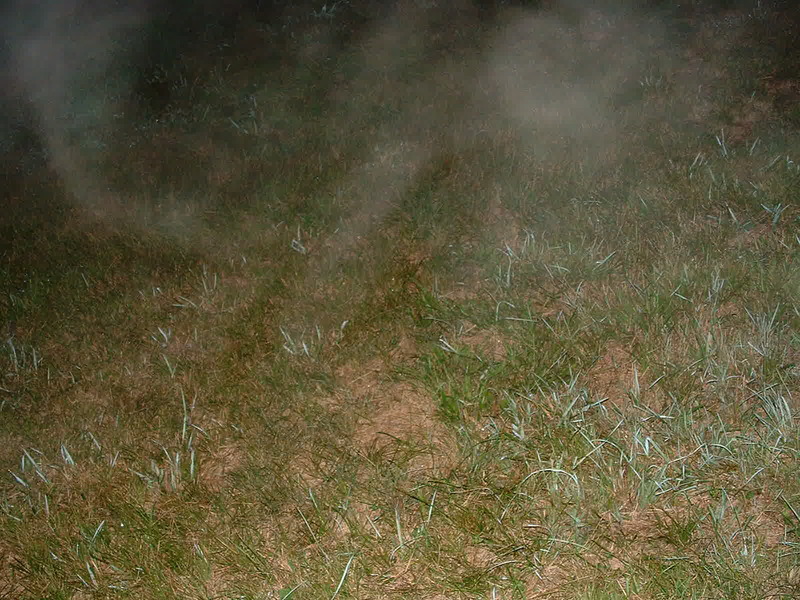 Like I said, this place isnt haunted because of the graves. 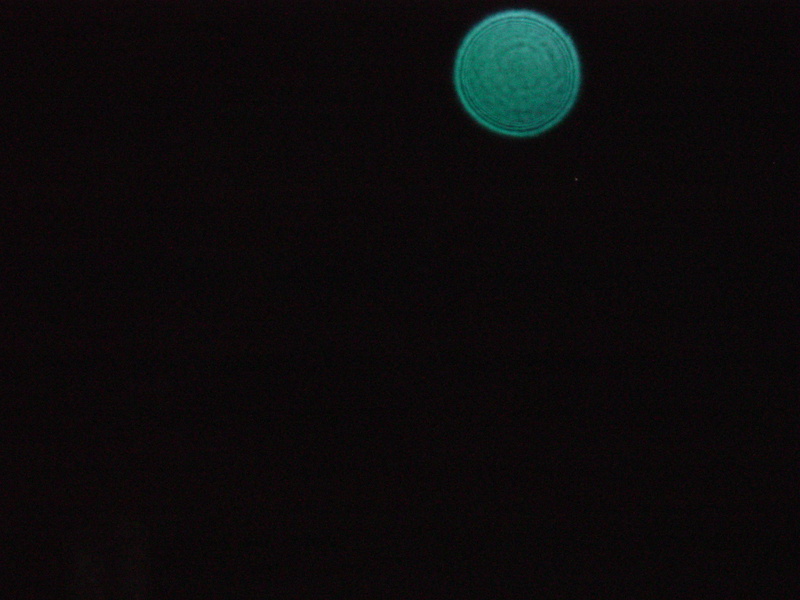 Hookman’s is also one of the only places we have ever captured colored orbs. We have taken shots of green, blue and in this photo to the left, even red.